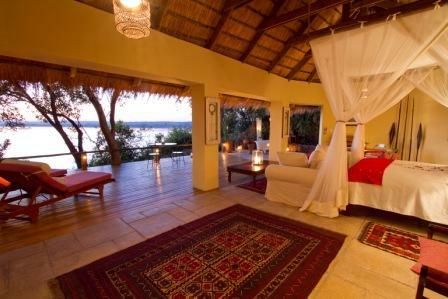 Contact AFRICA BOUND for 2016 costs…. 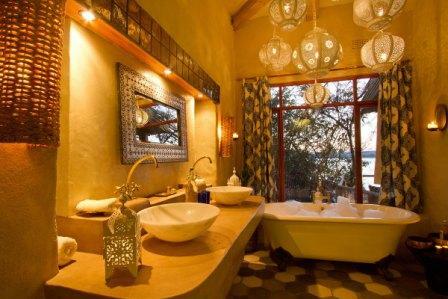 SPECIAL OFFER: Stay 4 / Pay 3 Nights…..contact AFRICA BOUND for Tongabezi / Sindabezi combination costs.. 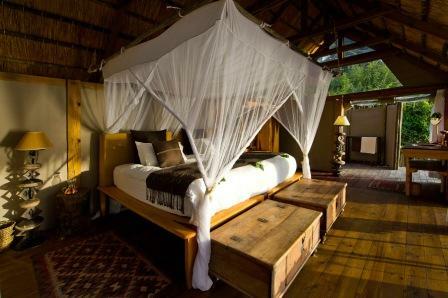 Please note the above prices may vary due to circumstances beyond our control. 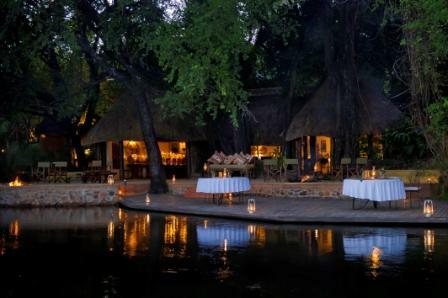 Includes: Return airport transfers, Accommodation based on twin share, All meals & drinks, Unlimited WiFi, Laundry, All game viewing activities offered at the lodge such as Boat trip to Victoria Falls; Canoeing on the Zambezi; Island Lunch; Sampan floating candlelit dinner; Visit to Mukuni Park; Museum Tour; Sunrise and sunset boating; Guided bush walks; Fishing; Game Drives; Introduction to Simonga Village and Maramba Market visit. 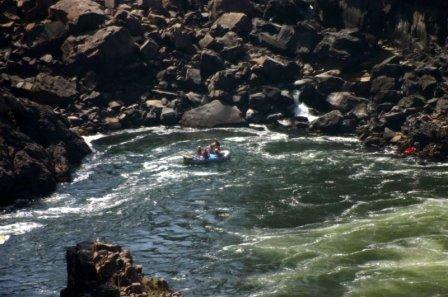 Park fees and Entrance fees are an extra cost. 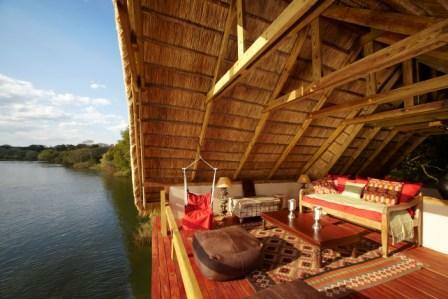 As well as our open-fronted houses, we have five River Cottages overlooking the banks of the Zambezi. 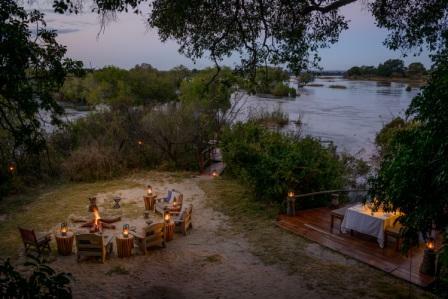 Each has a large double bed or two singles, plus a mosquito net and ensuite bath and shower, along with indoor and outdoor areas where guests can dine under the stars or simply sit and enjoy the ever-changing river views. 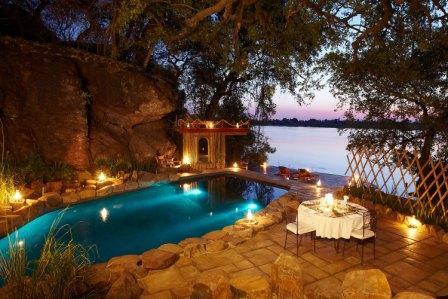 Because the River Cottages are close-fronted with gauze netting in the windows, we find they are better suited to guests who feel nervous about sleeping “outdoors”, but still wish to listen to the sounds of the bush at night. 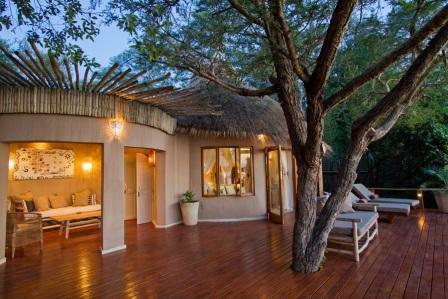 A valet is assigned to each cottage at Tongabezi luxury lodge.Victoria Falls is nearby for spectacular viewing trips by boat or helicopter. 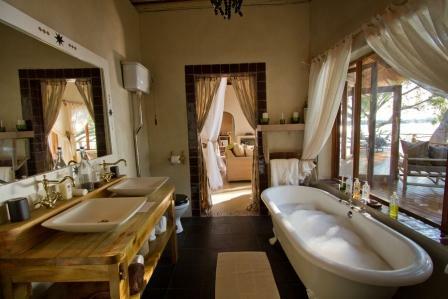 The Garden Cottage is ideal for a family or couple seeking luxury and privacy close to Victoria Falls. 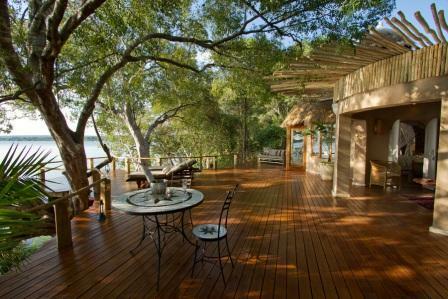 The house is hidden behind a private walled garden and set back from the river. 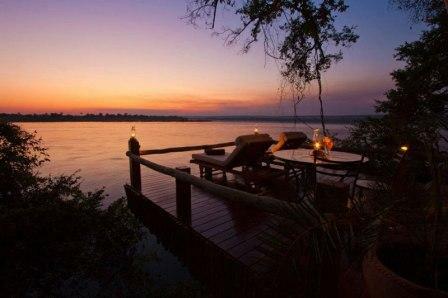 It is the only one of our properties without views of the Zambezi. 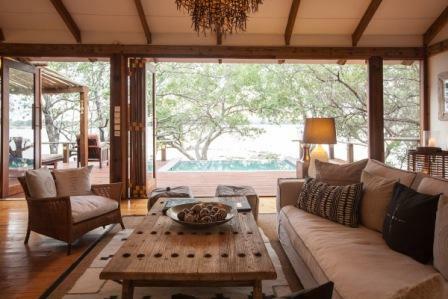 Beautifully designed and furnished using local materials, it is fitted with a luxury king-size bed and has a private living room with fireplace, an open-air sunken bath and an additional twin bedroom. 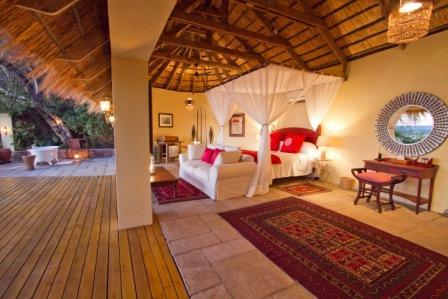 Every room at Tongabezi has a valet assigned to them who will look after our guests throughout their stay. 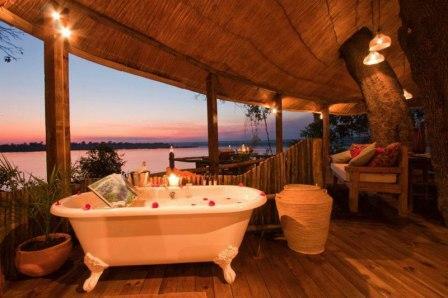 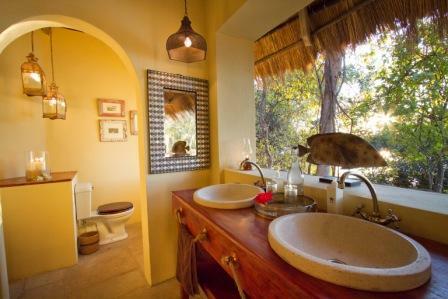 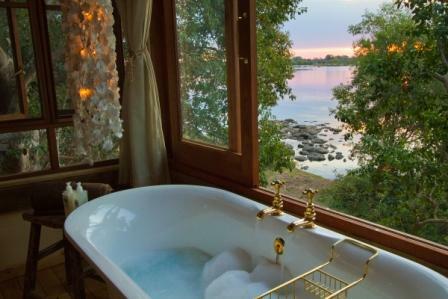 Each of the 5 unique houses offer an open air sunken bath with private terrace for dining under the stars and spectacular views of the Zambezi River. 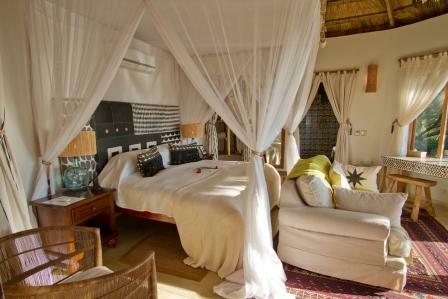 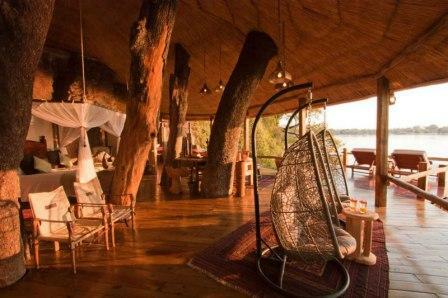 Furnishings (using local materials) include king size 4 poster beds with mosiquito nets, offering open views of the Zambezi, a comfortable leather couch for relaxing during the day and a wooden deck with lounger chairs. 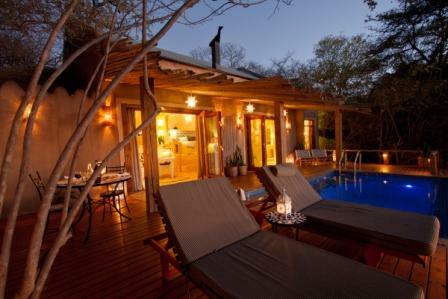 Some of the houses enjoy their own private plunge pool. 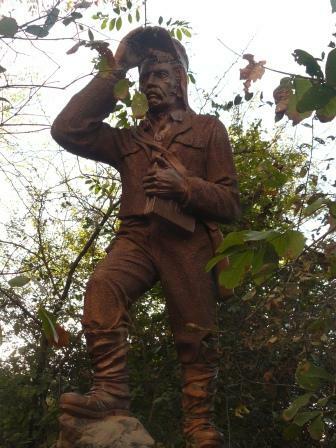 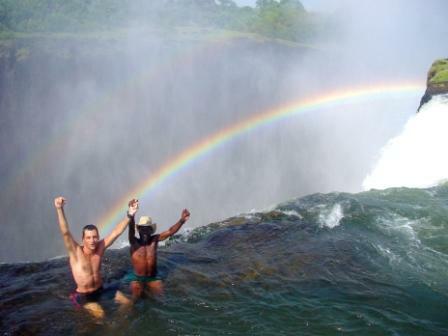 Sindabezi Island is unique. 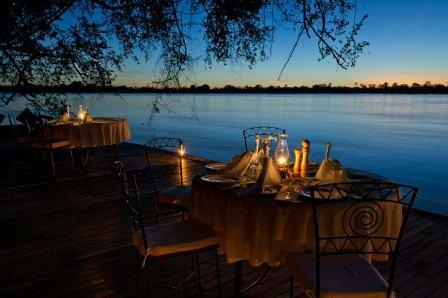 An idyllic, exclusive camp on our very own private isle on the Zambezi River, it is the only luxury bush camp in the Victoria Falls region and in 2008 was selected by The Sunday Times in London as one of the best remote places to stay in the world. 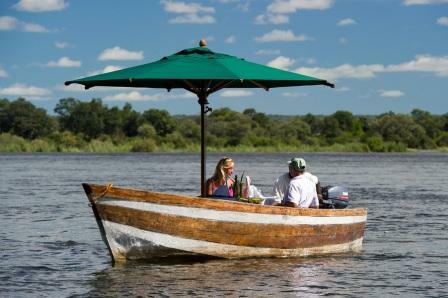 Many guests combine Sindabezi with a stay at their sister property, Tongabezi Lodge, a short boat ride away. 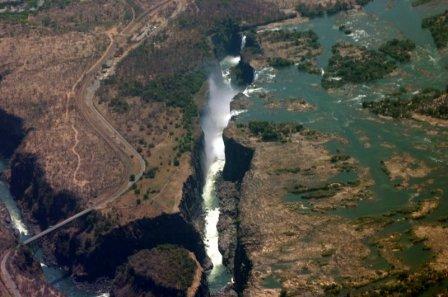 The Victoria Falls: An unforgettable visit to the Victoria Falls, one of the Seven Natural Wonders of the World. 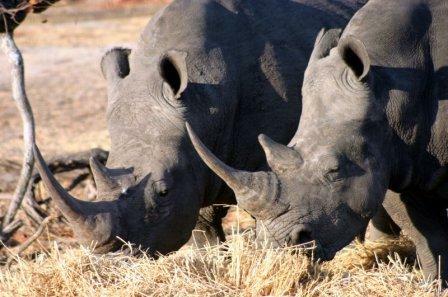 Mosi-oa-Tunya Game Park: Home to Zambia’s only white rhino and other bird and wildlife. 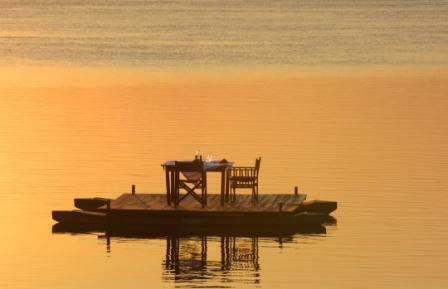 Island Lunch: Boat to a nearby deserted island for an indulgent, secluded picnic lunch. 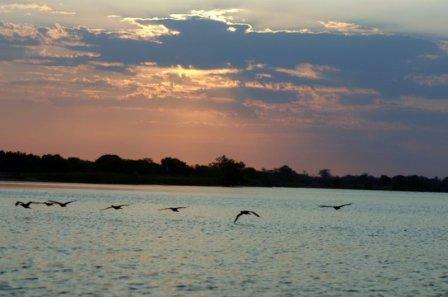 Sunrise & Sunset Boating: These cruises are one of the best ways to experience the mighty Zambezi. 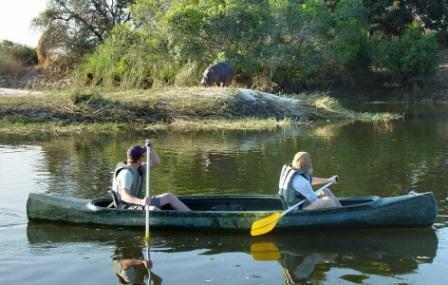 Canoeing: Our guides will accompany you on an exploration of the waterways close to Sindabezi. 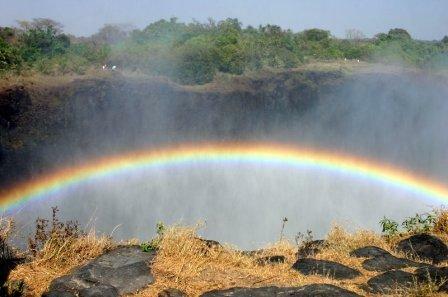 Guided Walks: Explore Victoria Falls and the surrounding gorges with your personal guide. 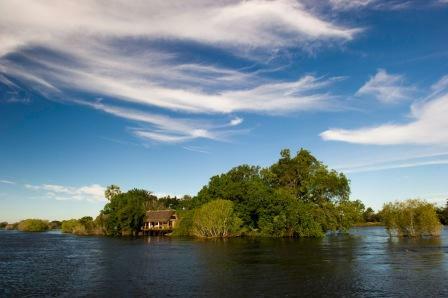 Fishing: A wonderful way to explore the river and perhaps be lucky enough to land a fish. 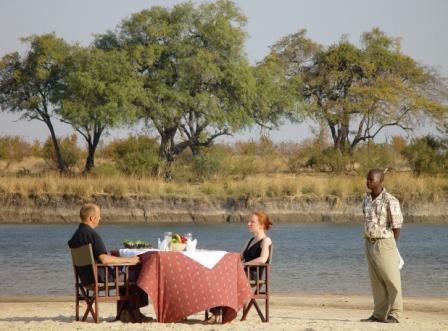 If it passes inspection our chefs will prepare it for your dinner! 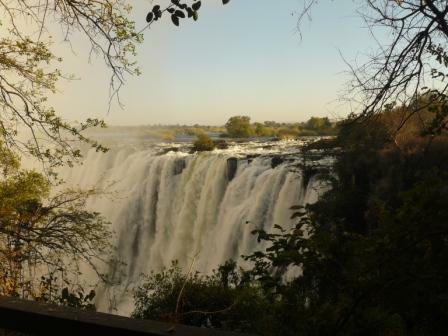 Guided Museum Tours: Learn about Zambia’s culture and history. 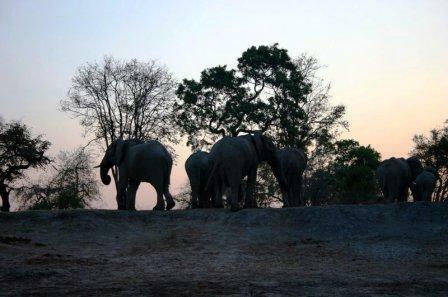 Tujatane School: Spend time with the children of the Tongabezi Trust School, a short walk from the lodge. 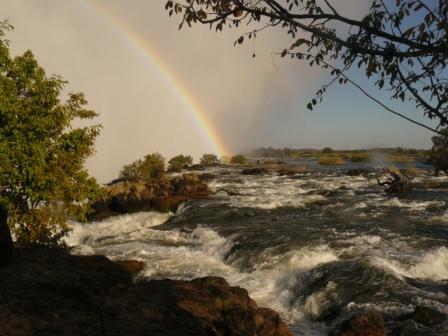 Maramba Market: Experience the ‘people’s market’ of Livingstone – a real slice of Zambian life. 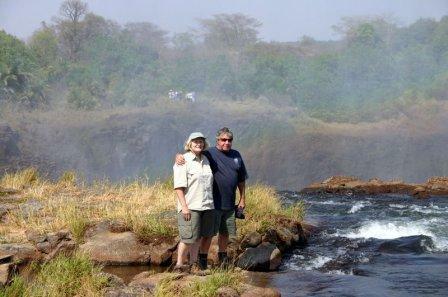 Local Village: We take guests to a local village by vehicle or guided bicycle tour.